Katjusha Kozubek – dancing singer, story telling dancer and dancing actress, who turns her origins into the concept of her art which spans the frontiers: Born in Germany, she grew up in an environment shaped by Russian and Polish cultural influences. Not only does she follow her "Gypsy roots" in her art, today she lives equally amongst Sinti and Roma and appears successfully on the stages of festivals and concerts in Germany and abroad. Katjusha did not follow the traditional and classical way of musical education, e.g. she did not study at this or that music or theatre school finishing with a diploma. Instead she had ten years tuition in a special school for musically talented pupils, which was tied in to the then in Eastern Europe well renown "Pioneer Choir Weimar" as well as the theatre choir of the Deutsche Nationaltheater. Afterwards she took private chanson- and voice training lesson under tutors from the "Franz Liszt" musical school at Weimar. Further training in dance, acting and directing followed while working in productions in theaters as "guest actor". In addition to that Katjusha taught herself much through autodidactic studies, whether as regards to acting, to directing and other subjects related to theater and dance. Her interpretations of European concert folklore, from Yiddish to Roma and Sinti songs, to Russian, Polish, Hungarian, and Serbian love songs and ballads, are very convincing, caused by Katjusha's breath-taking temperament, as well as through her mimics and her gestures. 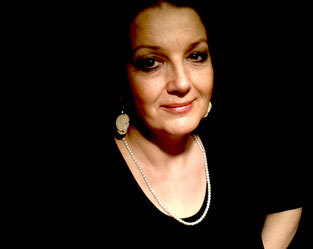 Her dramatics are unmistakeably affected by her background in and the influence of the Eastern-European music theatre. Her fascinating charisma lies between aloofness and complete devotion to her audience, who will laugh and cry with her. Her style will give every melody or text, regardless of what language it is sung in, a universality which immediately reaches the heart. Every melody or text, no matter what language, appears to be unique due to her own interpretations and therefore are extremely pleasurable, not only to the ears bur also to the heart. This is a kind of music of the world that breaks down the frontiers, celebrating the beauty of diversity. Katjusha's songs sort of dance between folksongs, chansons, jazz, swing, classic, Latin-American rhythms, between the modern and the traditional, and never sound the same. Often they are born from the moment on the stage anew, in the spontaneous play of great accompanying artists and audience alike. This is vitality live! Whatever Katjusha sings will always have a Gypsy feel to it and it will always touch your soul. 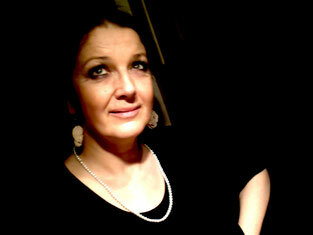 Gypsy music and the way of this music is the foundation and inspiration of the artistic interpretation of this cosmopolitan artist that is Katjusha Kozubek. Aside from appearances with her own ensemble she has also, as soloist with renown Gypsy ensembles such as the Martin Weiss Ensemble, the Rigo Winterstein Swingtett, the Polish Gypsy music theater "TERNO", Trio ROMEN and the László Vádasz Ensemble enthused the public. A result of the many great years of cooperation between Katjusha Kozubek and the Mario Triska Ensemble is the successful CD "Pashi Jag". 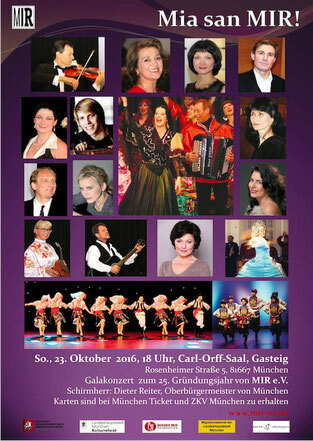 "Gypsy music is worth it to be played at the highest level and to be experienced and recognized in this way amongst the general public", says the artist and supports since 2005 the work of the Philharmonic Club of the Roma and Sinti e.V. in Frankfurt/Main, who did engage her for appearances during a concert series. Katjusha has been dancing since childhood and was a popular guest at a variety of dance shows. 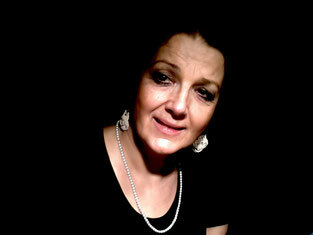 Since 2005 she teaches herself in Austria, Switzerland and Germany the dances of the Eastern European Roma. Her project "Romany Dance School", which is based in Zurich and Berlin, combines lessons, encounter, establishment and promotion of the culture of the Roma equally with one another.